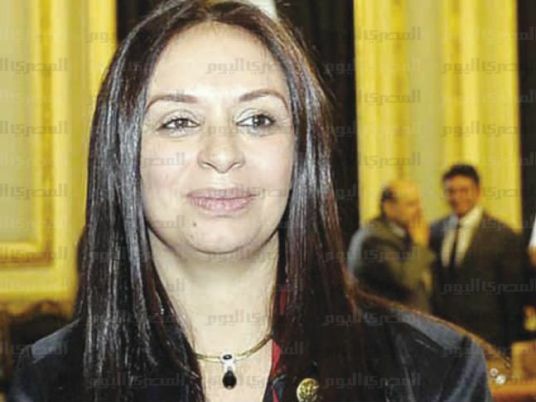 Egypt won the second place in the Arab Women’s Studies Award for the “Survey of the Economic Cost of Gender-Based Violence in Egypt 2015”, prepared by the National Council for Women in cooperation with the Central Agency for Public Mobilization and Statistics (CAPMAS) and the United Nations Population Fund, Al-Ahram news website reported. This came during a celebration that was organized at the end of the seventh conference of the Arab Women Organization on the “Economic Empowerment of Women and the Promotion of the Values ​​of Peace, Justice and Citizenship”, which was hosted by the Sultanate of Oman on December 18-19, 2018. The Arab Women’s Studies Award award was received by National Council for Women President Maya Morsi and Social Solidarity Minister Ghada Wali. During the celebration, researchers and National Council of Women members Ahmed Zayed, Nisreen al-Baghdadi and Maged Osman were awarded the shield of the Arab Women Organization for working papers they had prepared. Zayed presented a research paper entitled “Good and rational citizenship and its role in achieving women’s empowerment: successful experiences in promoting the values ​​of peace, justice and citizenship”. Baghdadi’s paper was entitled “Research Practices on the Issue of Women’s Economic and Social Empowerment, Policies for the Empowerment of Egyptian Women as a Model”. Osman presented a paper entitled “Information Technology and the Economic and Social Empowerment of Arab Women”. The main findings of the women’s study “Economic Cost of Gender-Based Violence Survey in Egypt 2015” indicate that the total cost to women and their families for violence is at least LE 2.17 billion. To combat violence against women, the Anti-Harassment and Combating Violence Against Women Unit at Cairo University organized a march earlier in December, featuring the participation of unit members, professors, students, civil society representatives, members of the UN Women’s Committee and the National Council for Women (NCW), as part of the international 16 Days of Activism Against Gender-Based Violence” campaign. Cairo University President Mohamed Othman al-Khosht said that the university has a message for combating violence against women. This message aims for young people, and the students of the university in particular, to raise awareness on the values of equality and the protection for women through a range of activities that support this message. He praised the role of the anti-harassment unit in promoting a culture of respect and equality among students and its activities and initiatives in this field.